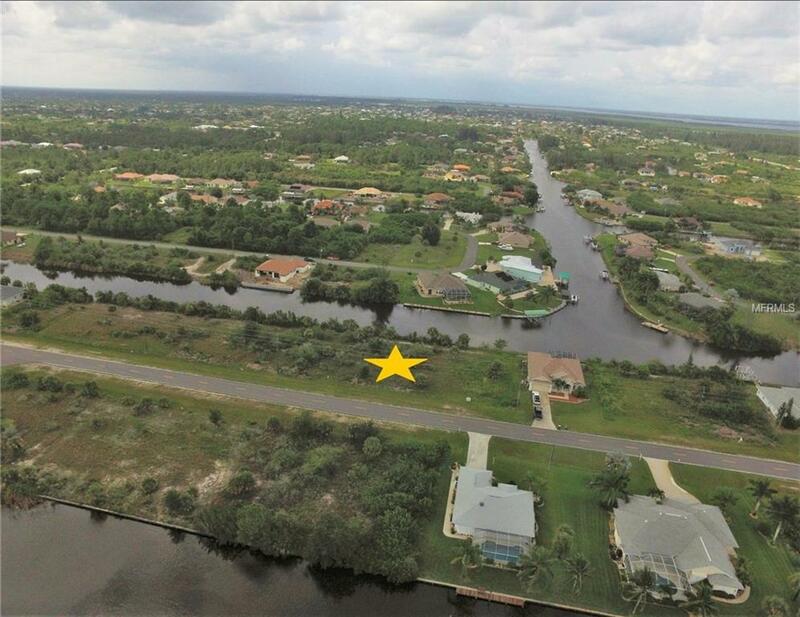 Waterfront Lot for sale in the Boating Community of South Gulf Cove. Enjoy 80 feet of shoreline with only one bridge to open water. This property is located on the Lunita Waterway giving you quick access to the Interceptor Lagoon by boat. All utilities are in place making this a Prime Location to Build. We work with several area builders covering all price points, so contact us for available floor plans and pricing. New Construction is Booming in the area which is starting to drive prices up again on vacant land. Buy as an investment or build your new home now before prices go any higher. The property is located roughly 20 minutes to the beaches on Boca Grande Island, 15 minutes to major shopping and dinning and 10 minutes to over 6 semi-private golf courses. Contact me today, so I can help you find Your Piece of Paradise. Additional Water Information Enjoy 80 Feet Of Shoreline With Only One Bridge To The Interceptor Lagoon Giving You Access To The Charlotte Harbor And Gulf Of Mexico.